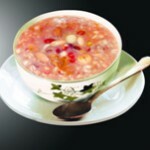 Chinese porridge or congee (Zhou: 粥) is a thick soup that is made from grains. There are various ways of making and serving congee, and no special skill is required. Congee can be sweet or salty, thick or thin, with many or few ingredients, it all depends on your own personal taste. 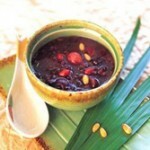 Eight treasure congee is also called “The Eighth Winter Day Congee” (La Bao Zhou) and Buddha Congee. 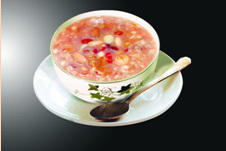 According to TCM principles of rather using food as tonics rather than herbs “ The Eighth Winter Day Congee” is consumed like winter tonic food on special days of each winter (Luna Calendar, the Eighth of December) as a Traditional Chinese Holiday. The original recipe uses eight ingredients. The number eight is a lucky number in the Chinese culture, even though many versions of it may have more ingredients than eight, people still call it Eight Treasure Congee. 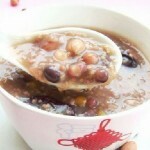 Different versions of eight treasure congee have different ingredients for different types of healing. Most ingredients include Chinese red date, red bean, black walnut, pine nut, dried persimmon, sweet rice, millets, tapioca, peanuts, apricot seed, sunflower seed, pumpkin seed, peach kernel seed and black sesame seeds. The Eight days of Winter coincide with Buddha’s’ “becoming immortal day” so that the Buddha temple adopts the folk day’s tradition and makes the Eight treasure congee the same day, later people call it “Buddha congee”.. 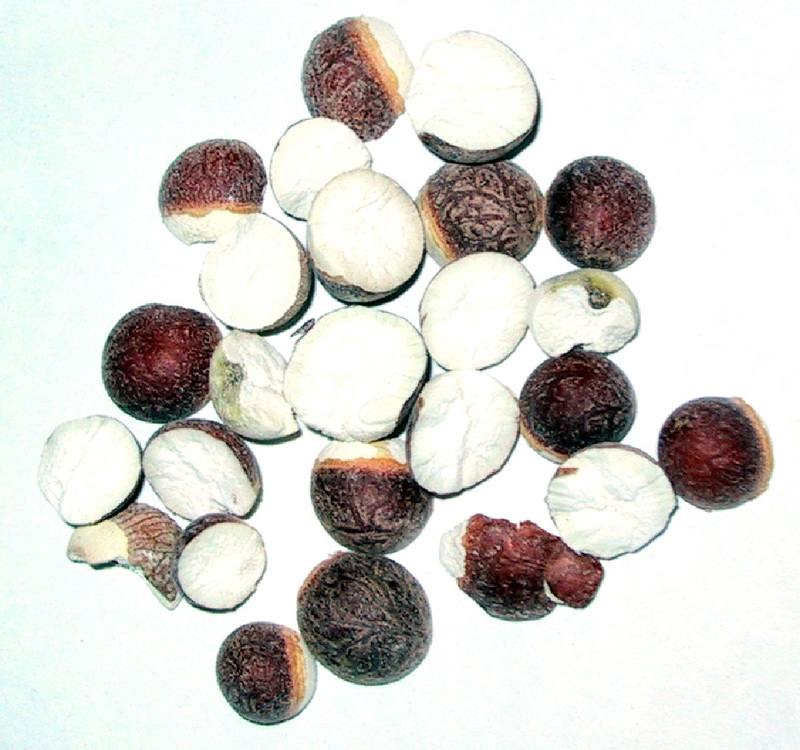 Cooking instructions: Put all nuts and beans in a ceramic pot with 500ml water to cook for one hour, then add millets and rice and continue cooking at a low temperature till everything becomes very soft and smooth. Then add rock sugar, red dates and hawthorn fruit at the end and continue cooking for another 10-15 minutes. 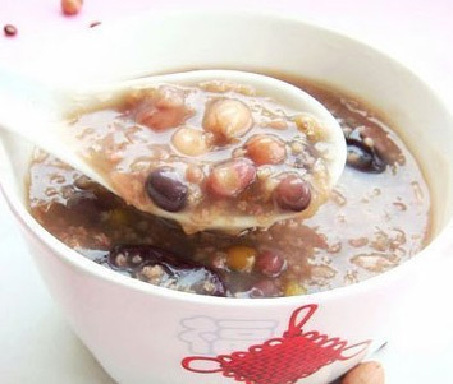 Cooking instructions: Pre soak all beans overnight then cook in water for one hour, add rice, yi yi ren, go ji berries and dates in the pot and continue to cook at low temperature till congee become very soft. Cooking instruction: Put Codonopsis Root and Atractylodes Rhizome in a cheese cloth, cook in boiling water for 40 minutes. Use the herbal juice only with more water if needed, put all the rest of ingredients and rice in the pot, and then cooks at medium temperature until everything become soft and smooth. of dampness, fatigue, water retention and gain weight. Cooking instructions: Soak all beans overnight then boil in water for one hour, add rice, sweet rice, millet, dates and lychee fruit in the pot and cook at low temperature till congee become very smooth. 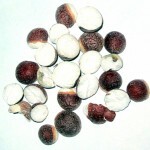 For more information about food therapies, please check the new book website at www.bodywithoutmystique.com. This entry was posted in TCM Food Therapy and tagged Chinese Cooking, Chinese Food, Healthy Food, recipes for health, TCM, winter health, Yang-Sheng. Bookmark the permalink. Awesome! Would you have any recommendations where you find quality ingredients for these congee recipes? Thank you! head to Follow us on Twitter at twitter. It makes no difference that i say were coming home as soon as the soccer game Saturday to look at care of the house something constantly occurs ruin the blueprint. The Shaolin Eight Treasure recipe didn’t work at all. The 150g of millet and 50g of rice absorbed the 500ml of water almost instantly. It was not a “congee”, but came close to being a burning wreck. I had to add four times as much water to get the consistency anywhere close to edible.